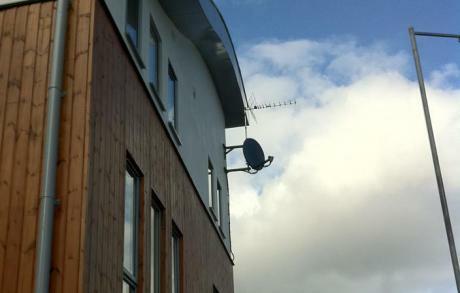 TV Aerial & Satellite is a family business, established in Newbury, Berkshire for many years. Our engineers are proficient in all aspects of TV reception. All equipment is guaranteed for at least 12 months. If you have a question or would like to know more, give us a call, our team will be happy to help and advise you. We can fix all TV Reception AV problems and needs and we also install extra points, mount TVs on the wall and lots more besides. So much is changing in the world of TV Viewing and sometimes it's hard to know whether to have a TV Aerial installed or go for a satellite dish fitting. At Newbury Aerials, we can talk you through all the options, both Free and subscription based, so you can decide whether it's Freeview, BBC Freesat or Sky which best suits your needs. If you have a family, you will need to consider channels available for the kids as well as yourselves. Also, if you have an HDTV, it may be worth considering which option will give you the most choice of HD channels to watch. Our helpful team are here to provide you with expert advice and a free quote visit. Our engineers can also help you to make a decision as they will know the area you live in and be able to advise you on what works best in your area, coupled with your needs we will provide you with a number of choices to suit every budget and to get the best viewing on your TV possible. Give us a call today on 01635 88 11 23.